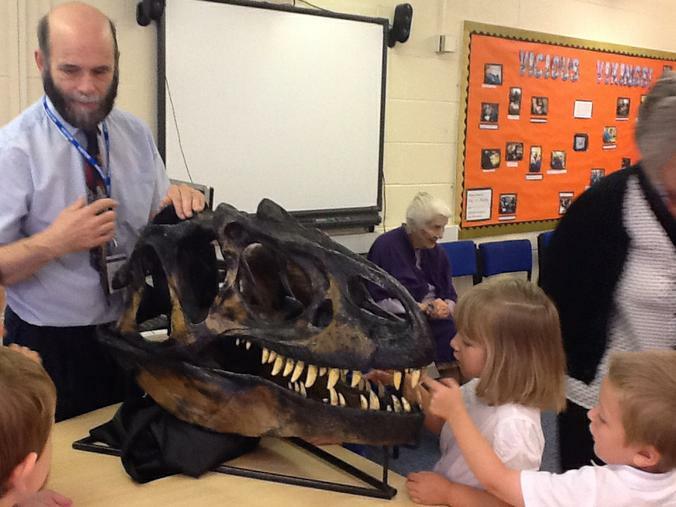 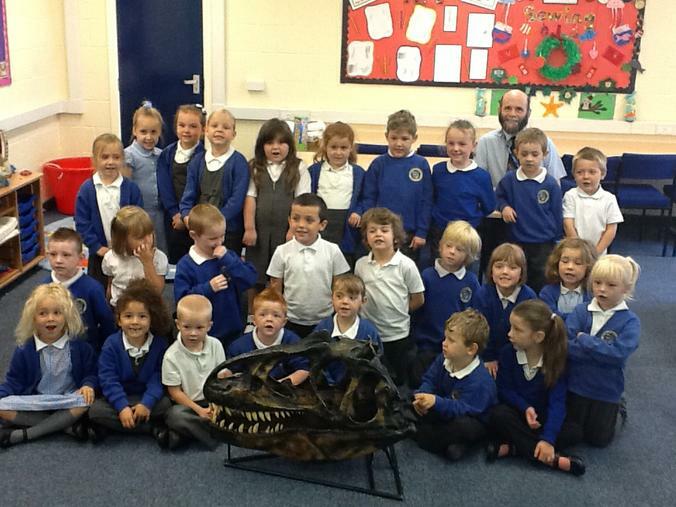 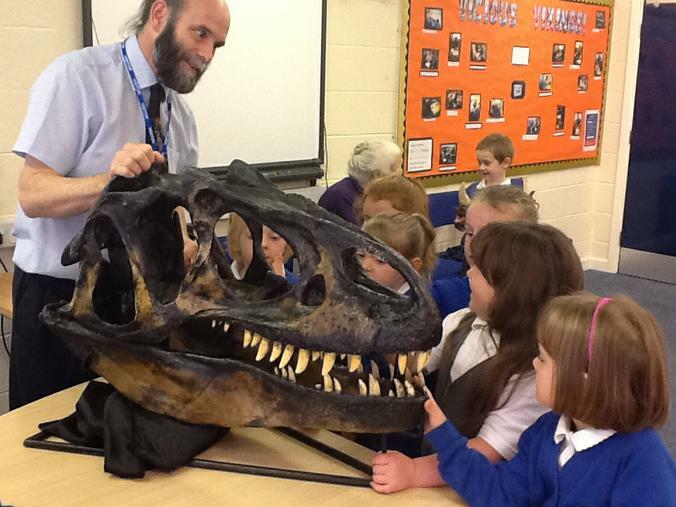 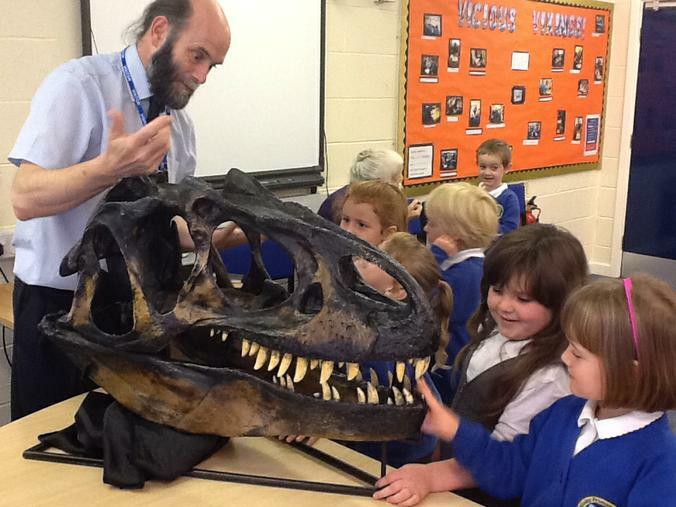 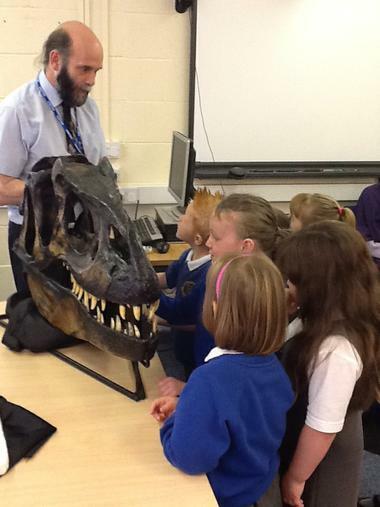 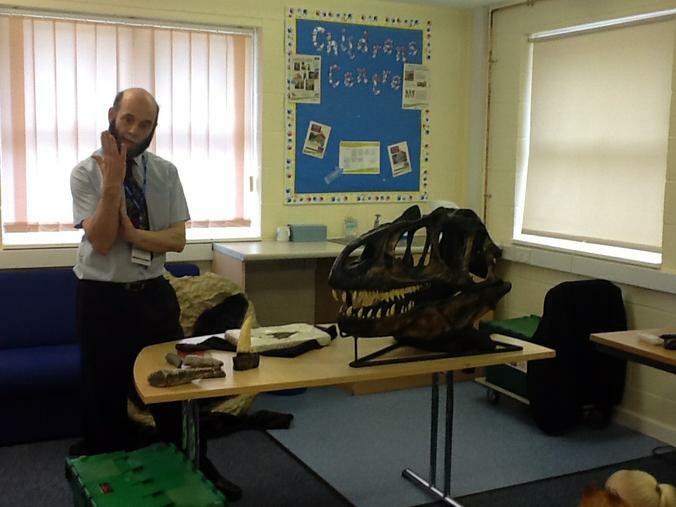 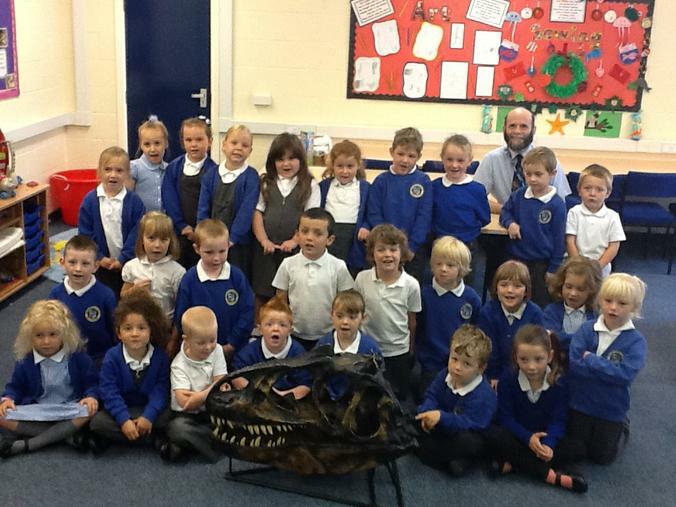 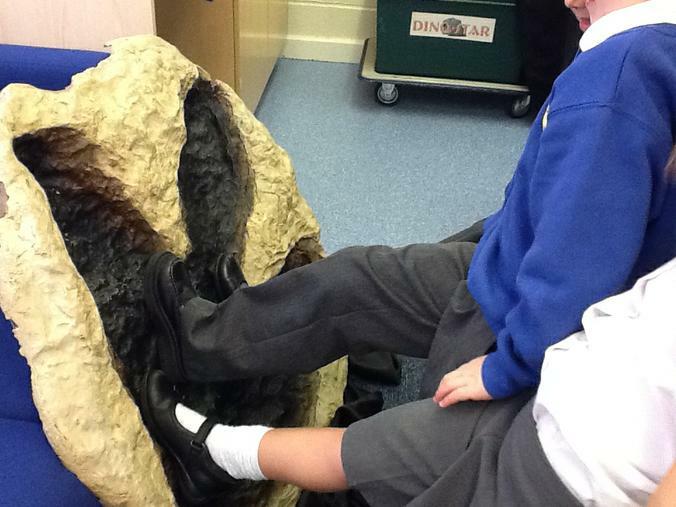 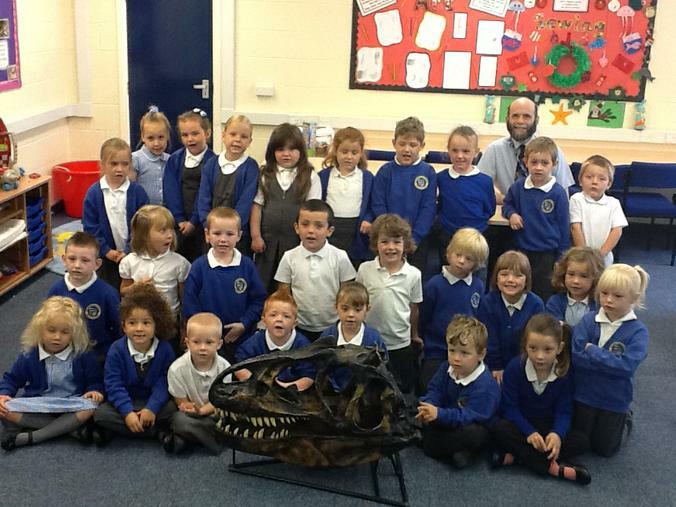 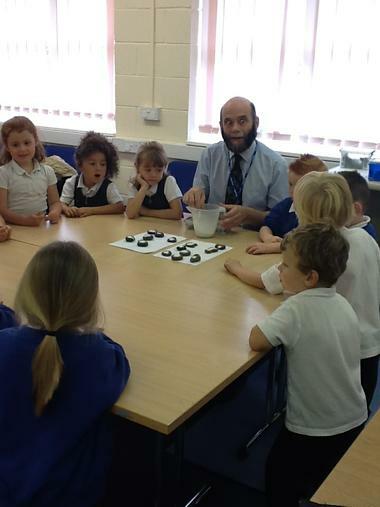 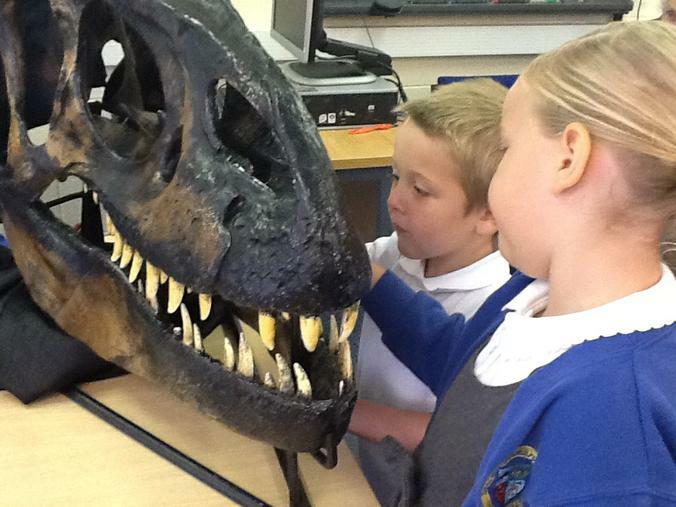 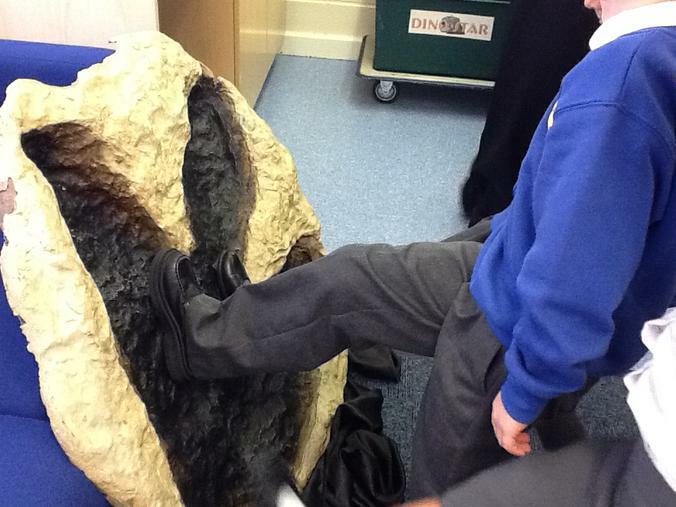 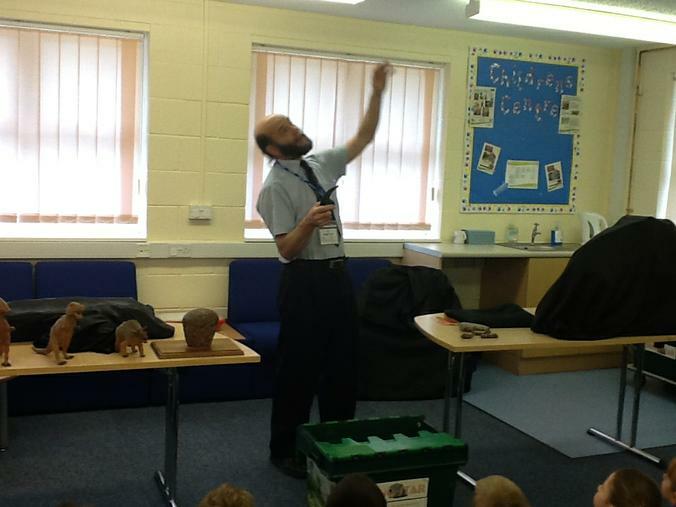 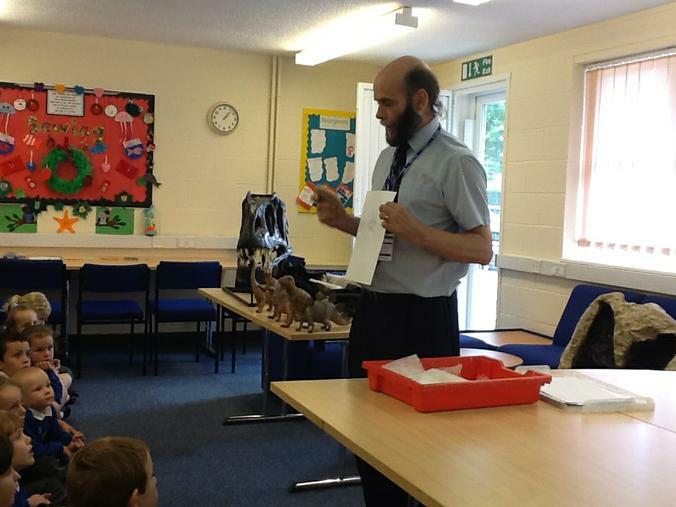 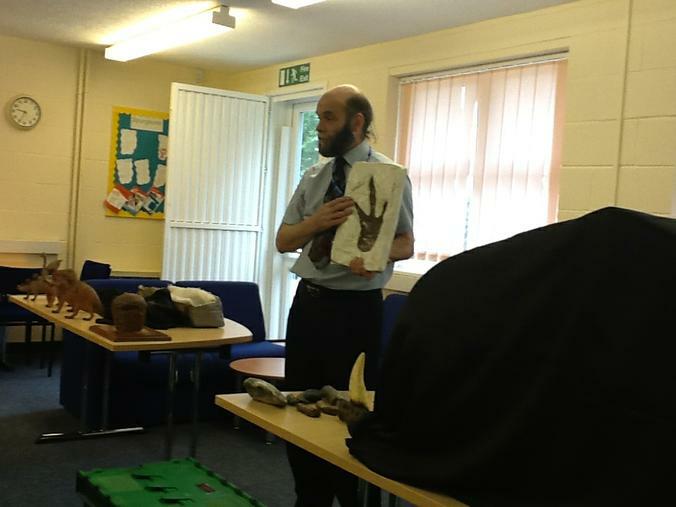 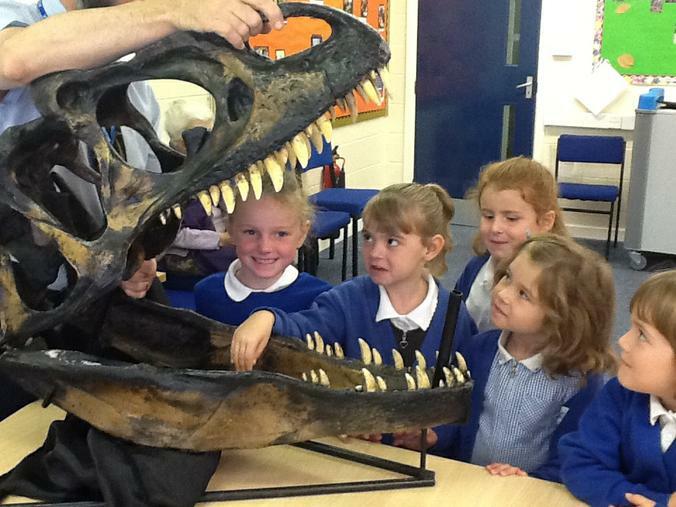 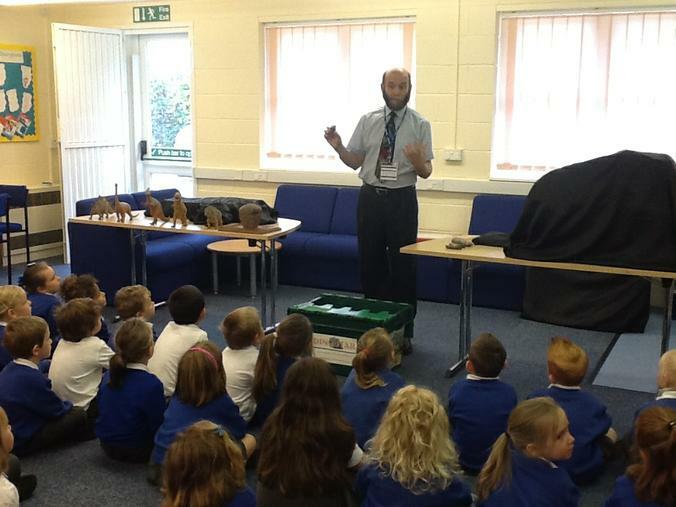 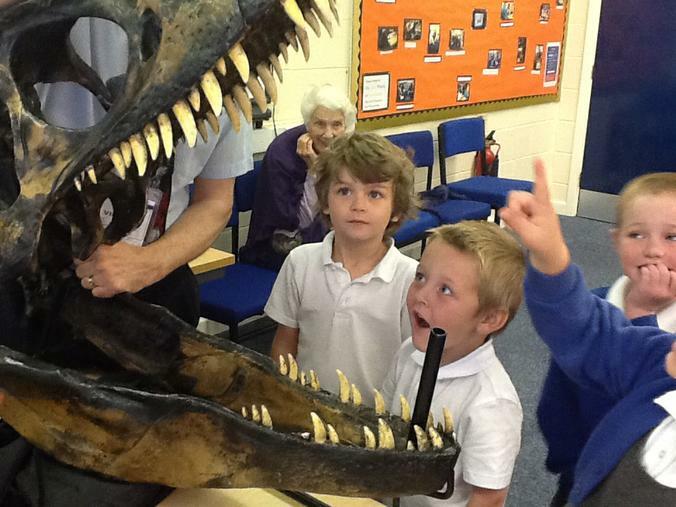 The children had a fabulous day with Mr Plater from the Dinosaur Musuem in Hull. 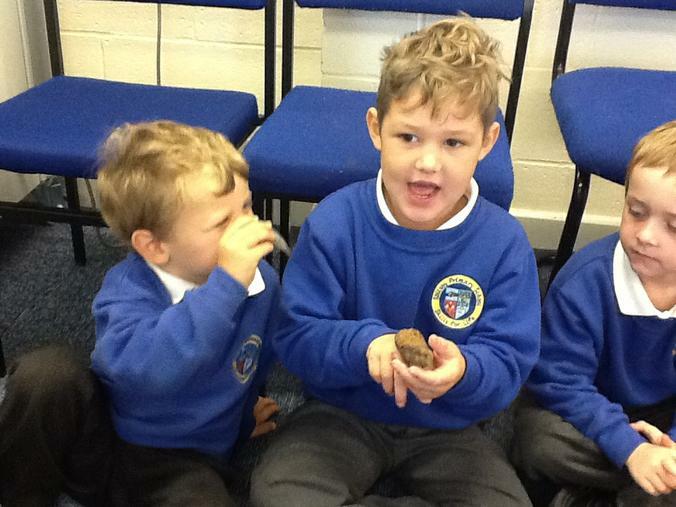 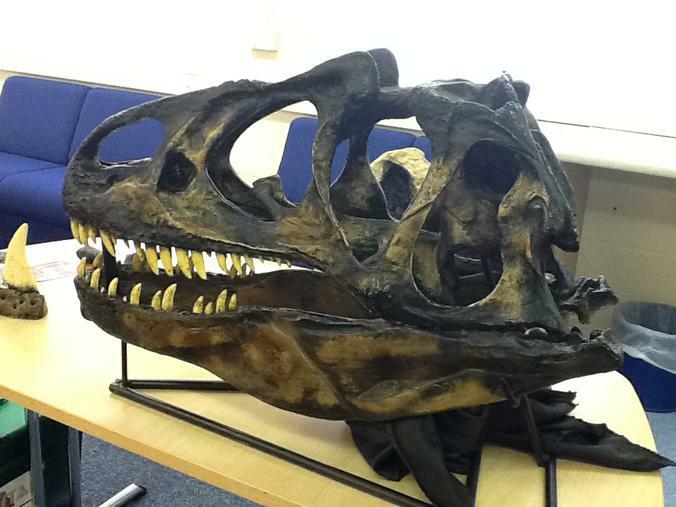 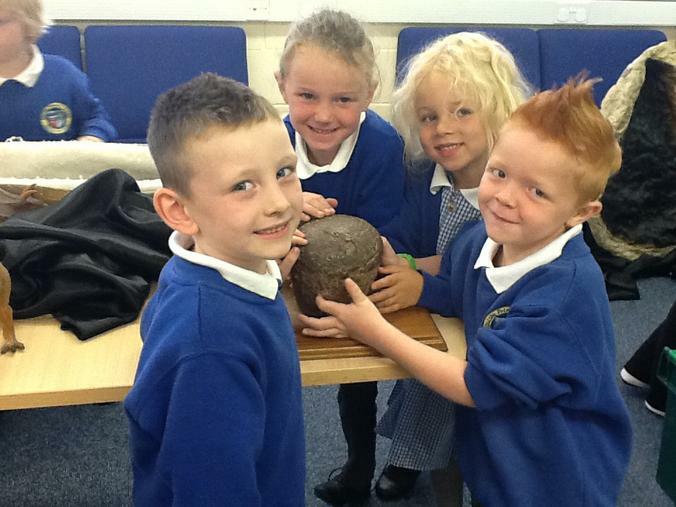 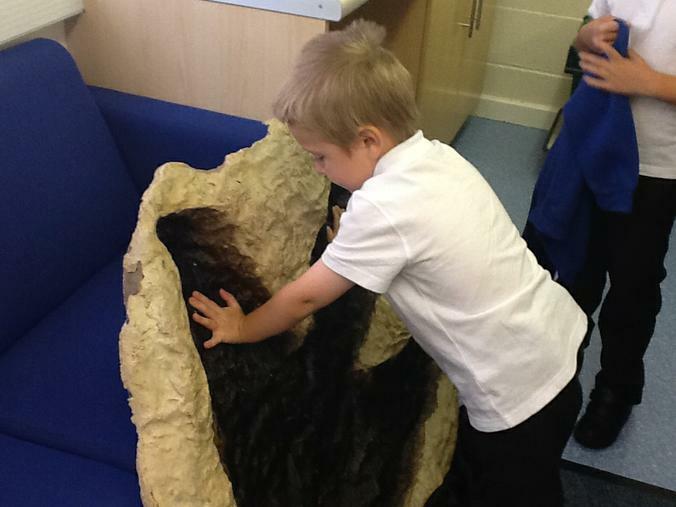 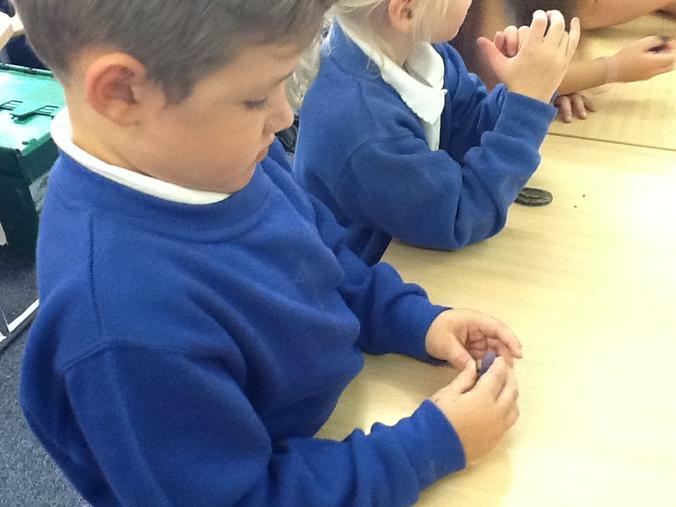 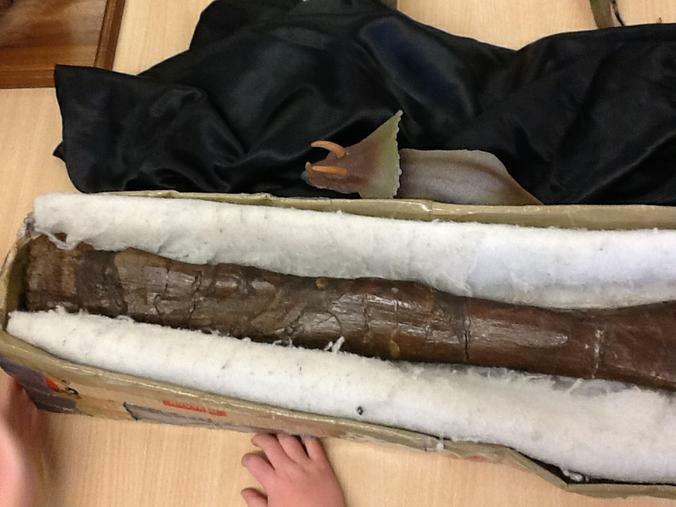 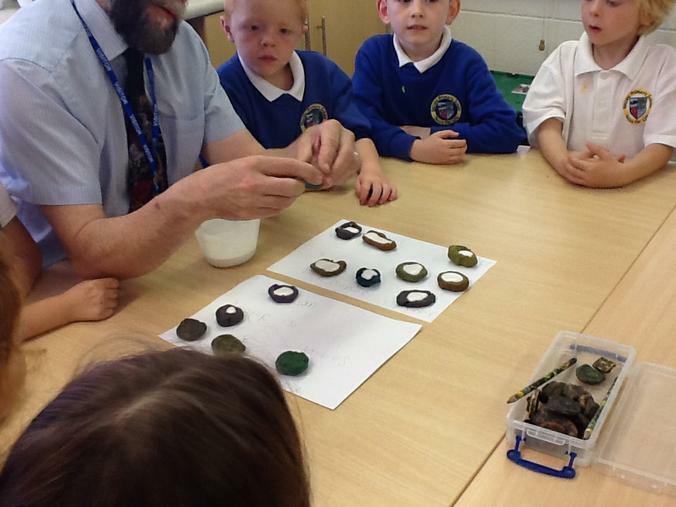 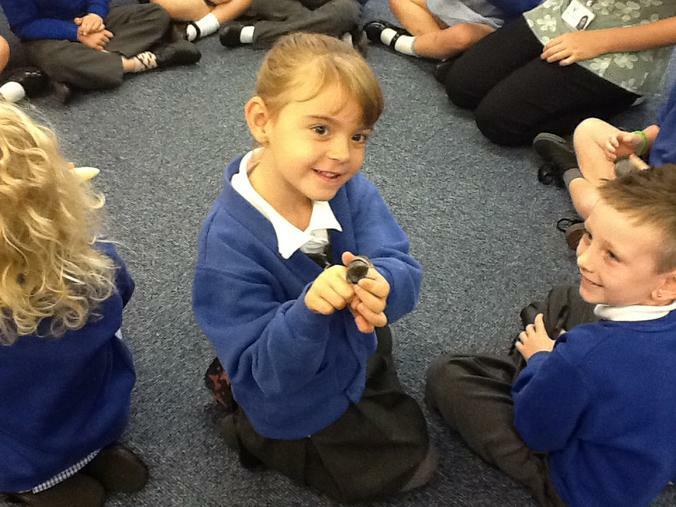 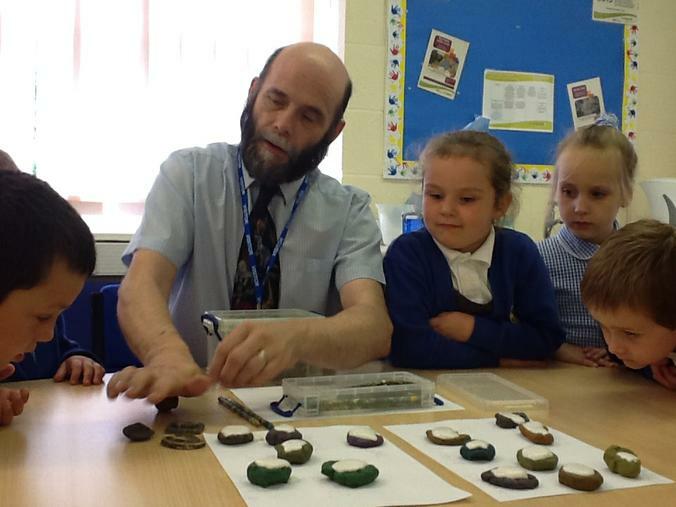 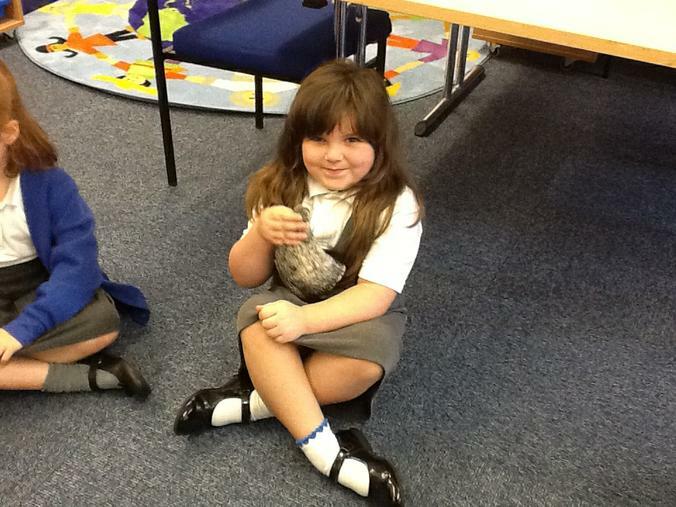 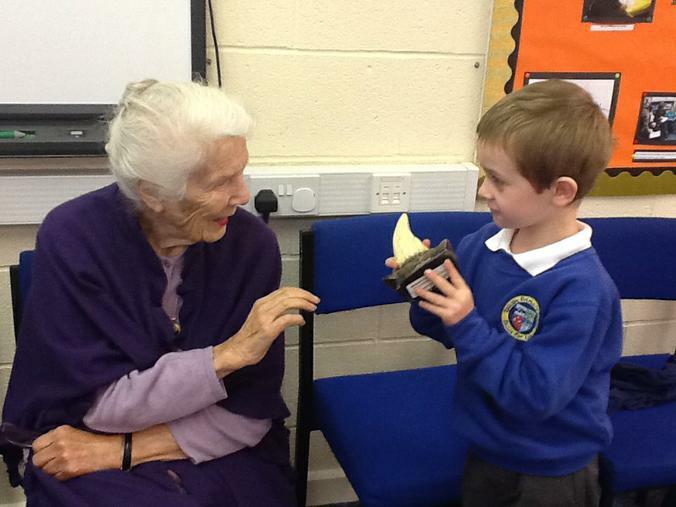 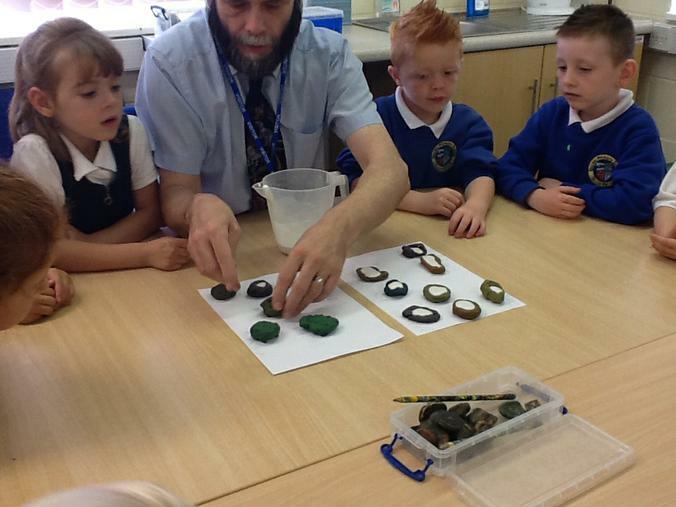 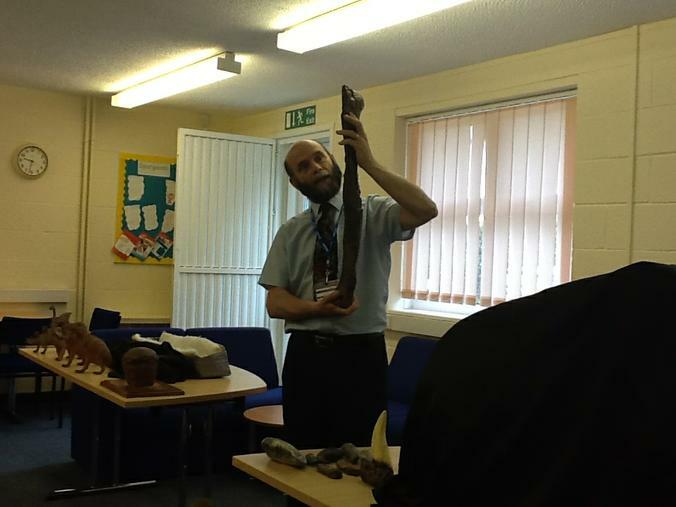 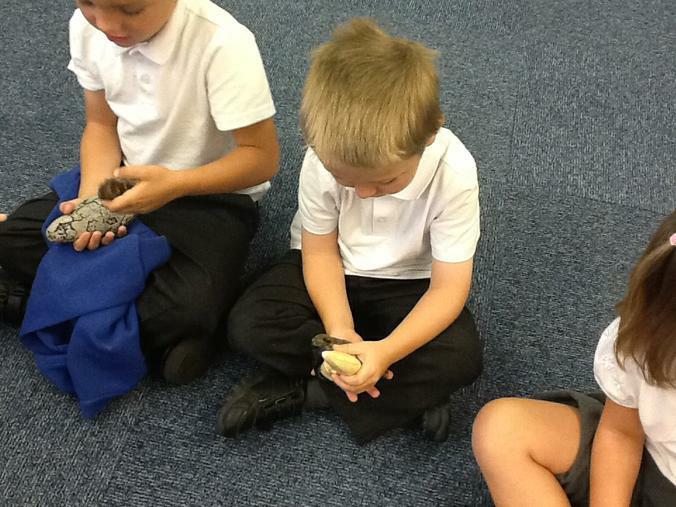 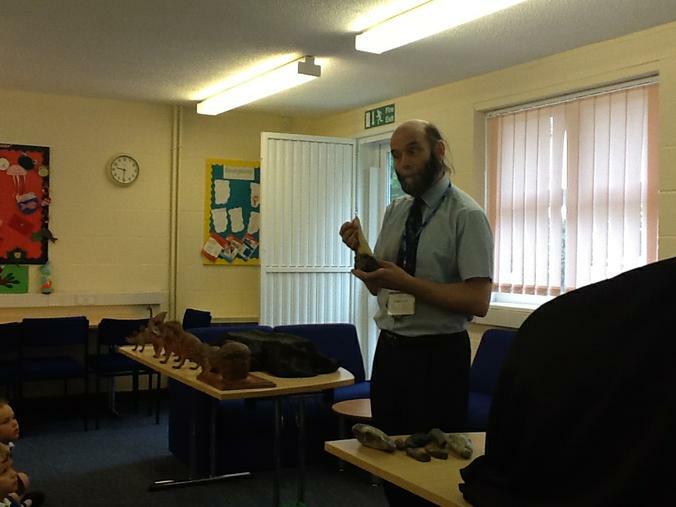 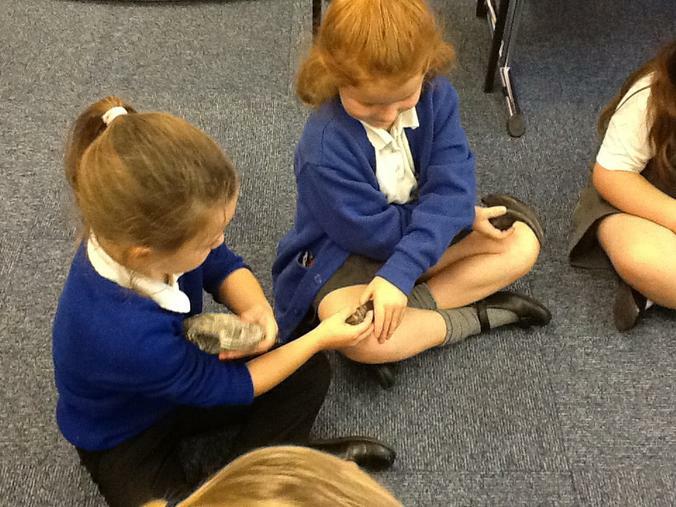 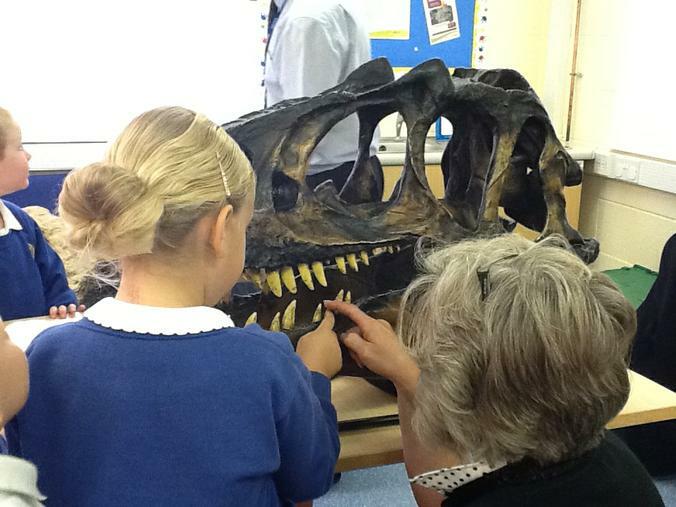 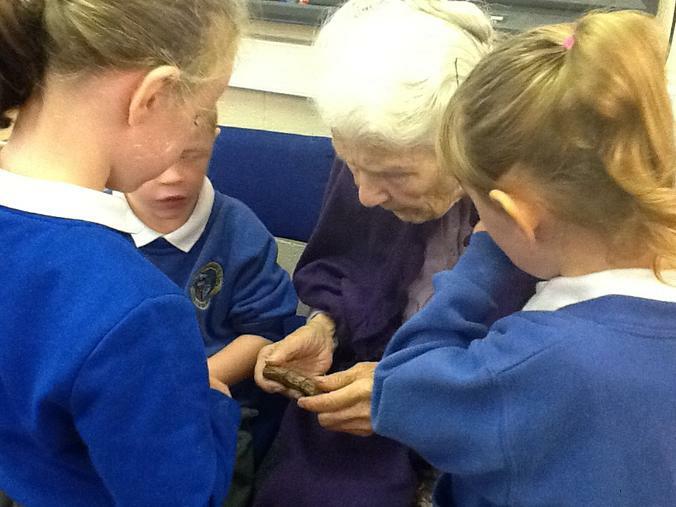 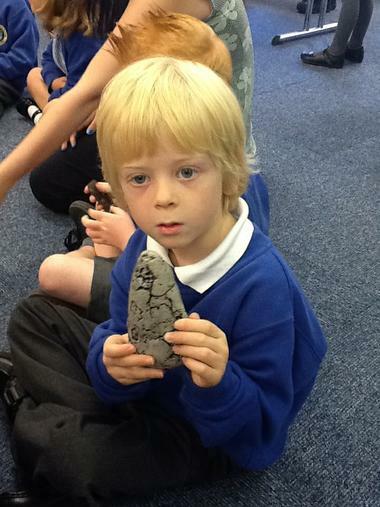 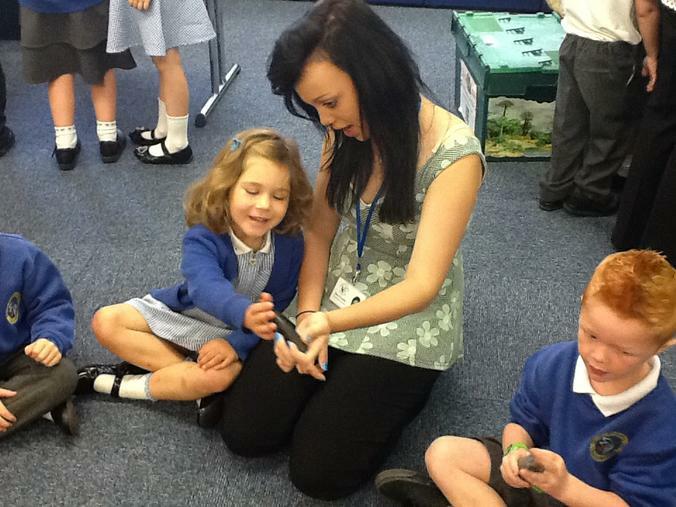 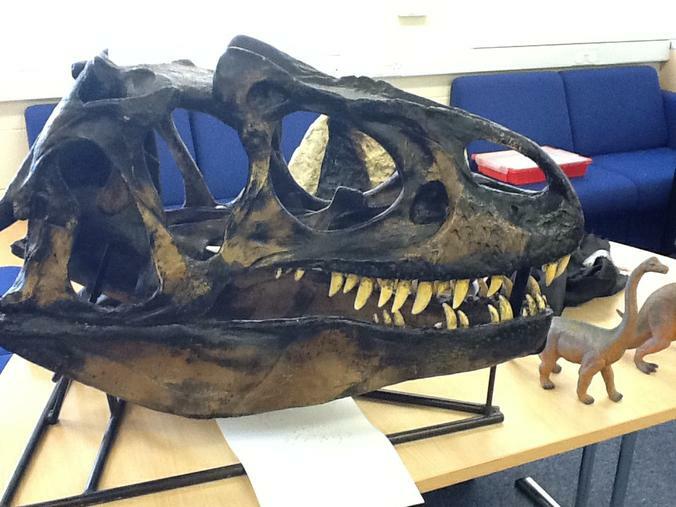 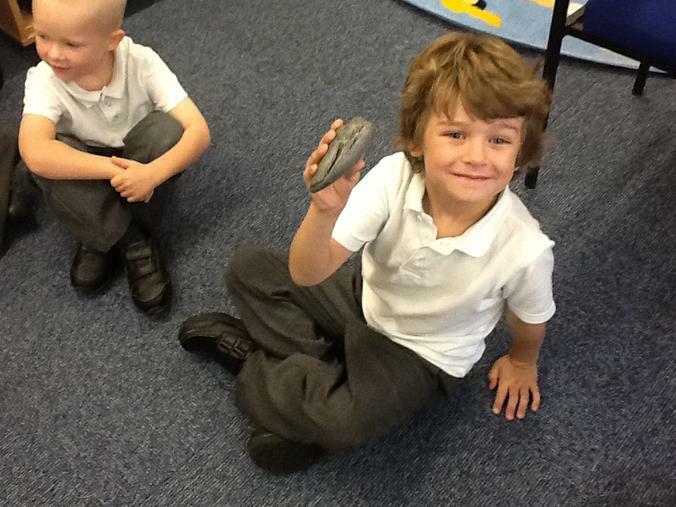 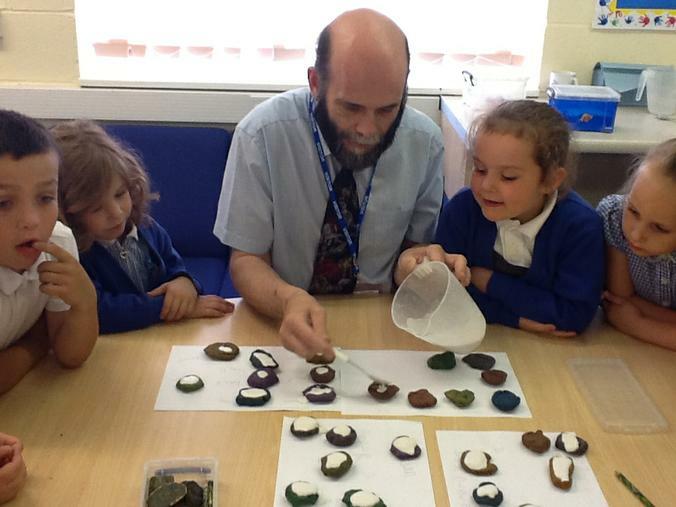 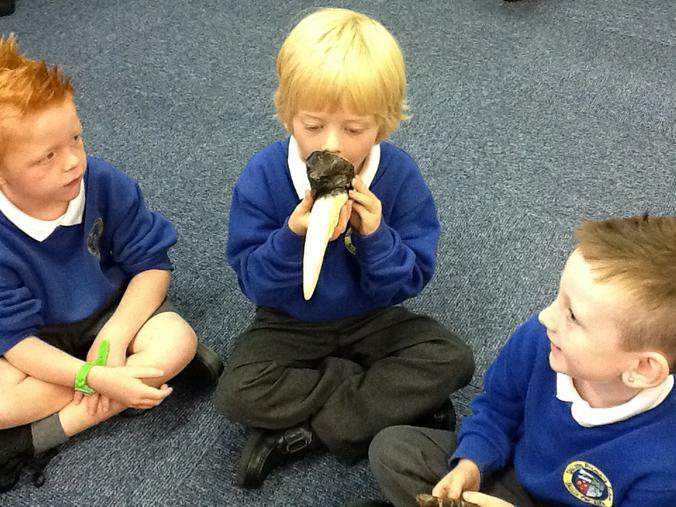 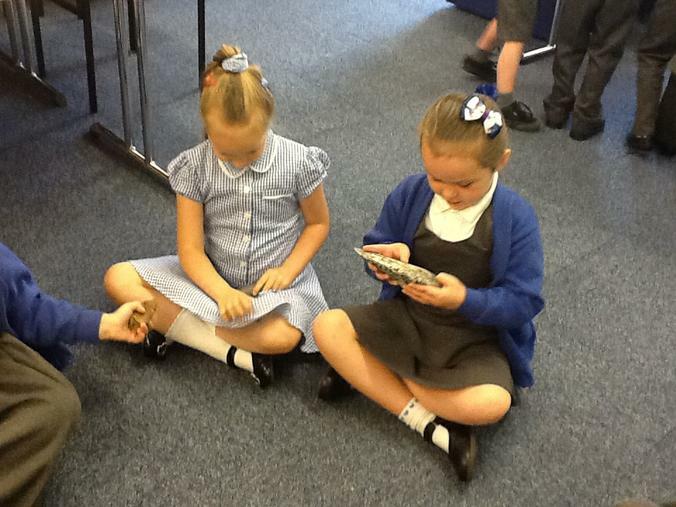 He bought in lots of bones and fossils for the children to look at and touch. 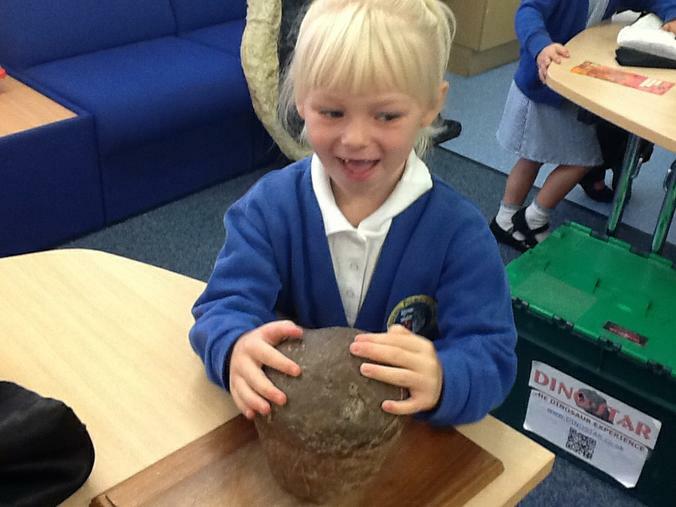 We saw a real dinosaur egg, triceratops leg bone and an Allosaurus skull amongst other eciting things. 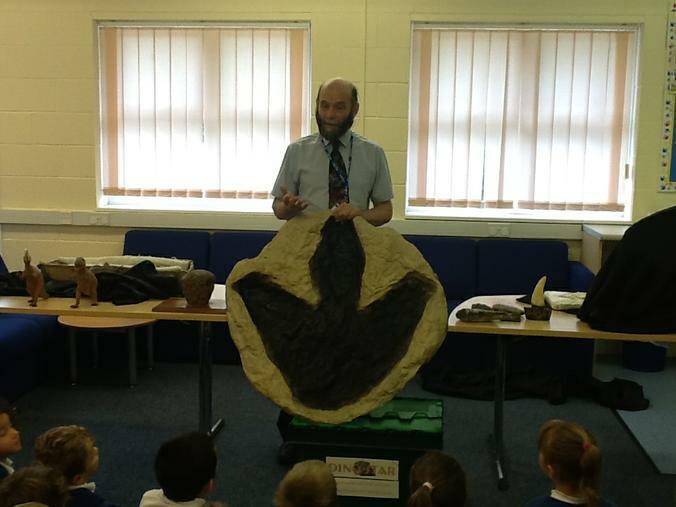 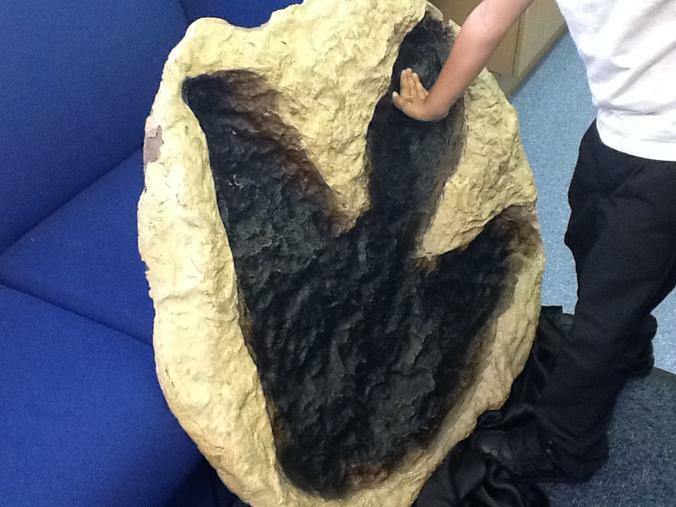 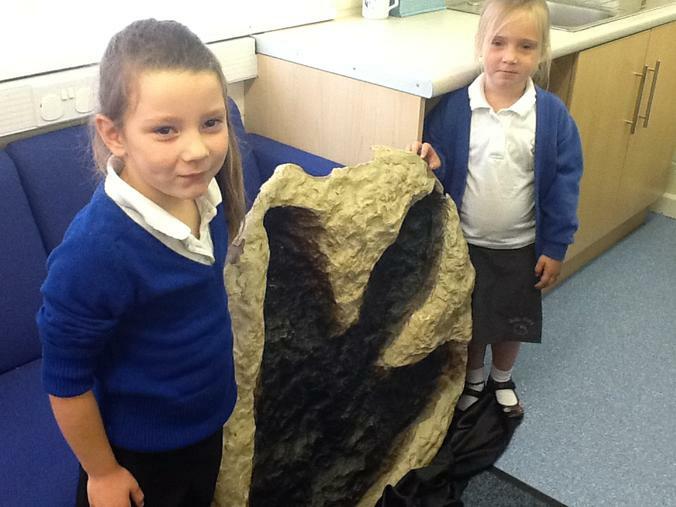 The T-Rex footprint was huge !!!! 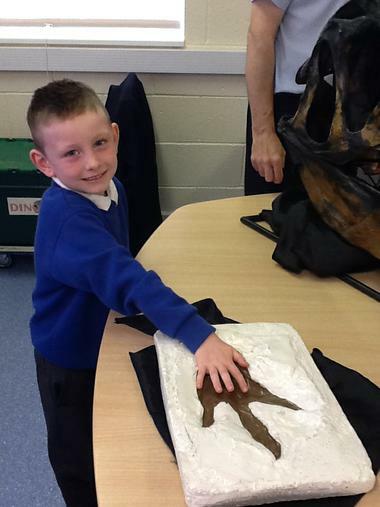 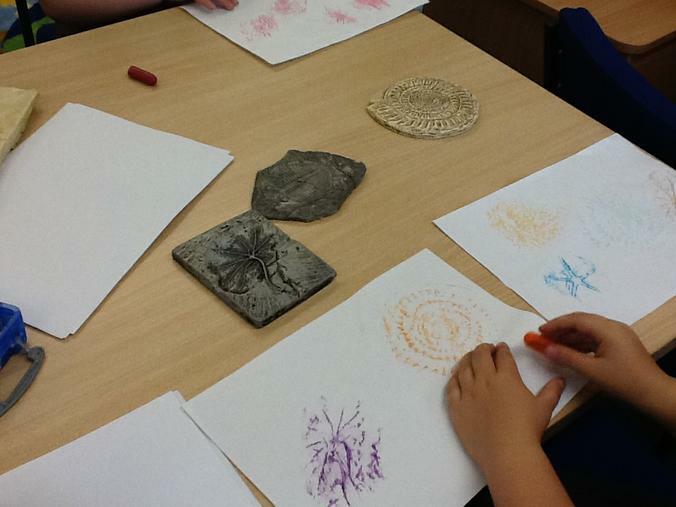 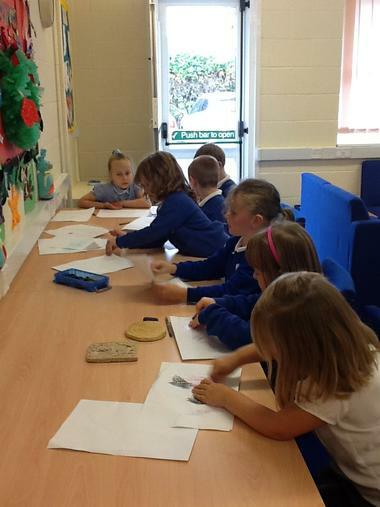 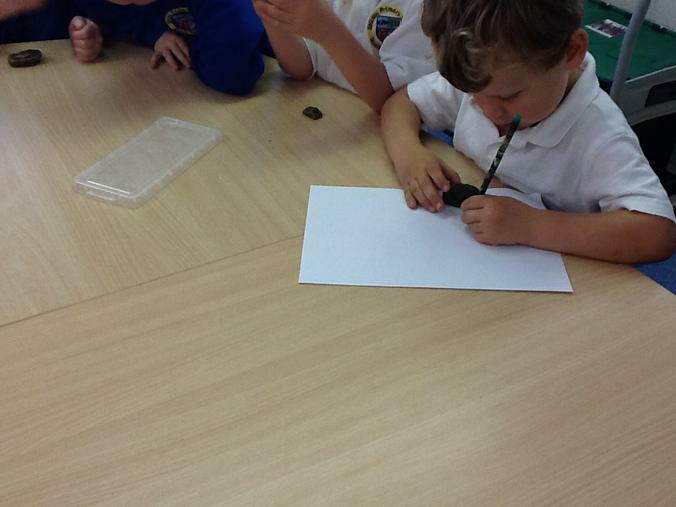 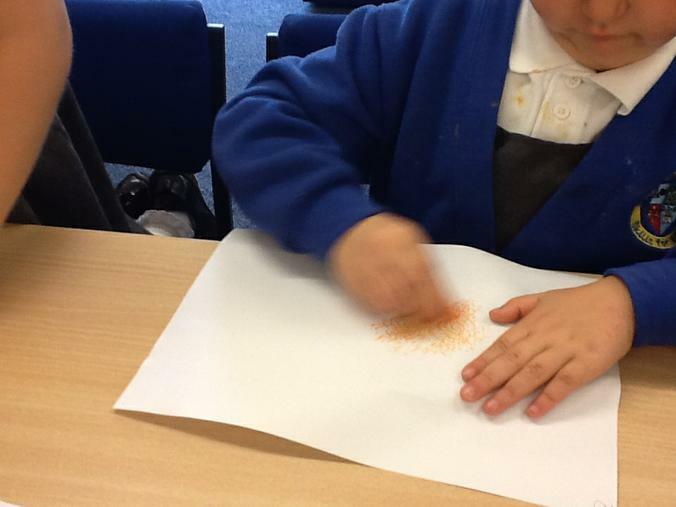 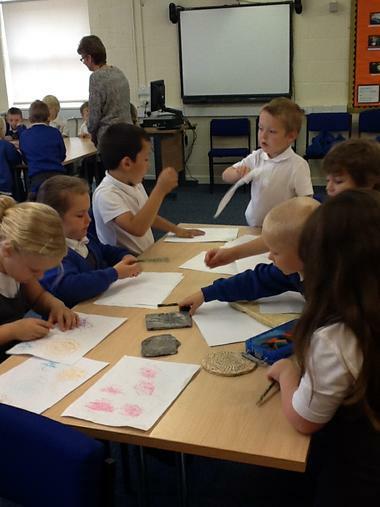 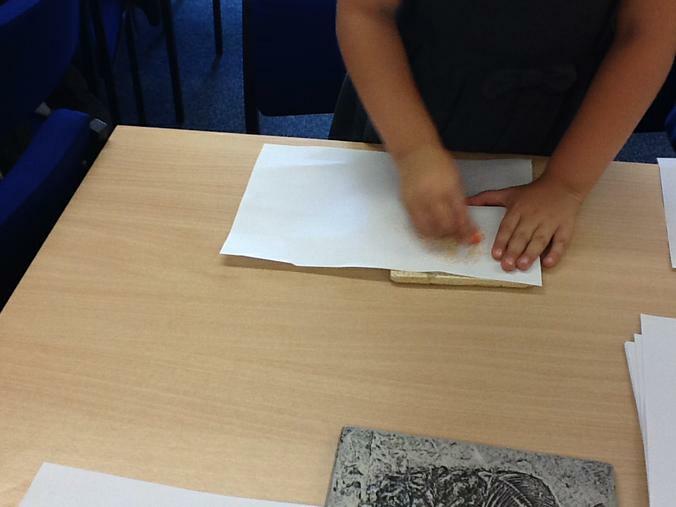 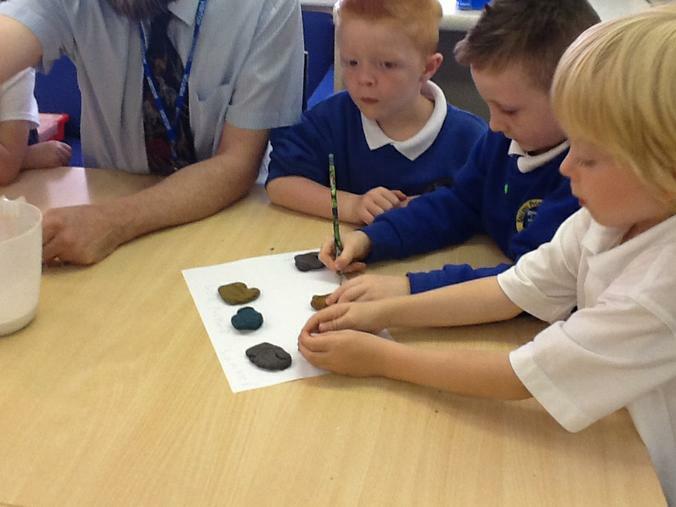 We also made our own fossils.